Two little boys in a field at sunset wearing blue, what is cuter! This was taken at Mattera State park in North Reading before they cut the grass down. 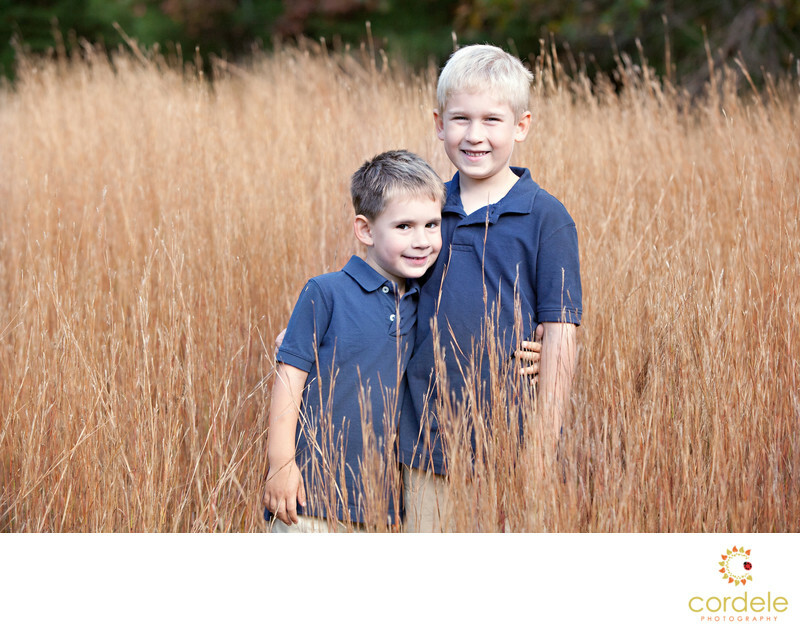 These boys loved running through the tall grass and playing in the field. The mom dressed them in dark shirts and matching shorts which worked well against the color of the grass.